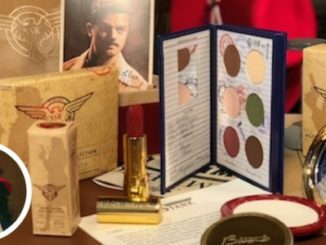 REVEALS, EXCLUSIVE GIVEAWAYS AND MORE! 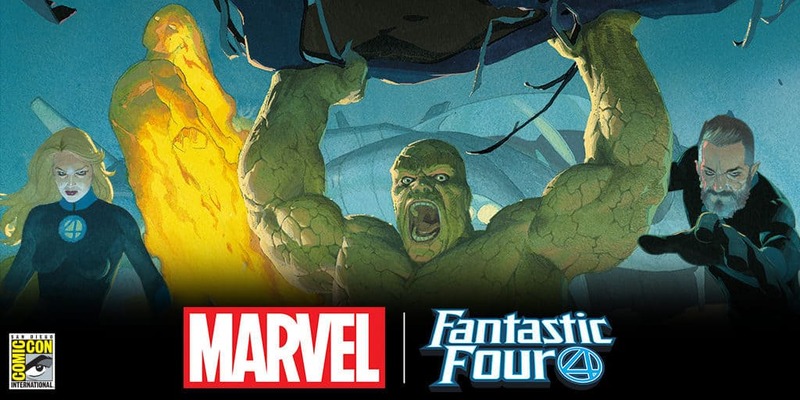 In a few weeks, Marvel Comics will be blasting into San Diego Comic Con – and you won’t want to miss what we’ve got in-store for fans! 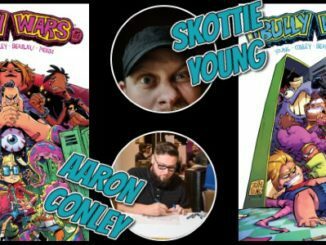 Join all-star Marvel creators such as Donny Cates, Nick Spencer, Margaret Stohl, Skottie Young, Chief Creative Officer Joe Quesada, and Editor-in-Chief C.B. 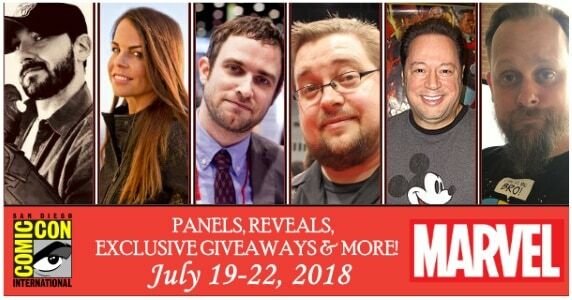 Cebulski for an exciting line-up of panels that you won’t want to miss, featuring breaking news, exciting reveals, exclusive giveaways, and more! 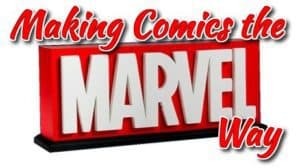 Catch all the action later this month at San Diego Comic Con and check out the full schedule of Marvel Comics panels below! Editor-in-Chief C.B. Cebulski and star Executive Editor Nick Lowe are joined by Donny Cates (Cosmic Ghost Rider, Death of Inhumans) and Margaret Stohl (Life of Captain Marvel) to discuss the startling stories and initiatives that are truly the NEXT BIG THINGS in the Marvel Universe! In Fantastic Four, the Richards family is heading back to Earth, but they still have one more cosmic obstacle to overcome. Meanwhile, the specter of death hangs around the Inhumans and the Ghost Rider of a dark future in Donny Cates’Death of Inhumans and Cosmic Ghost Rider. And as the Infinity Wars ignite, are any characters truly safe? 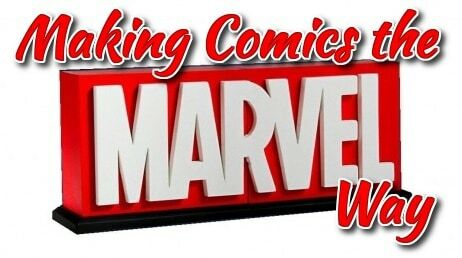 All this, plus learn more about the definitive origin of Captain Marvel as Margaret Stohl opens up about Life of Captain Marvel! 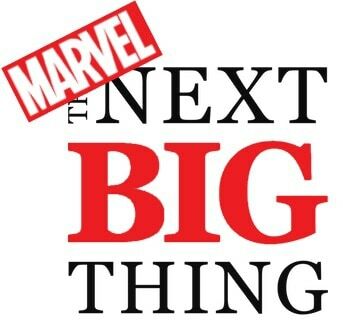 If you want to learn about the biggest Marvel stories of 2018, this is THE panel not to miss! Editor-in-Chief C.B. 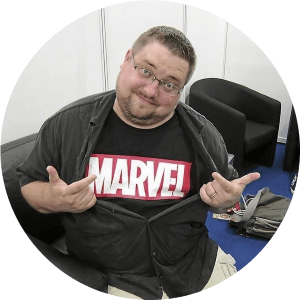 Cebulski, Sina Grace (Iceman), Seanan McGuire (X-Men Gold Annual), Matthew Rosenberg (Astonishing X-Men), and Tom Taylor (X-Men Red) take you through the full spectrum of current X-Men madness! The Red, Blue, and Gold teams confront Atlanteans, uncertainty, and Extermination, and the secrets of a NEW X-team are revealed! Deadpool and X-23 both rediscover their roots, and the Astonishing team faces ever stranger challenges! PLUS- Stay for the whole panel for an exclusive giveaway variant comic! or simply chat with some of your favorite heroes with Marvel’s chatbot accessible through Twitter and Facebook.